My new year's resolution is to stay active and healthy all year round. I first discovered Bondi Beach Tea Co to see what it could do for my bloating issues, featuring 'The Bondi B-Slim detox 14 Program'. As I'm a huge tea lover, I couldn't see why I wouldn't enjoy their range as well. What I learned about specially crafted detox teas is that they don't contain any laxatives or preservatives, which means it contains all natural products which help to detoxify your digestive system. 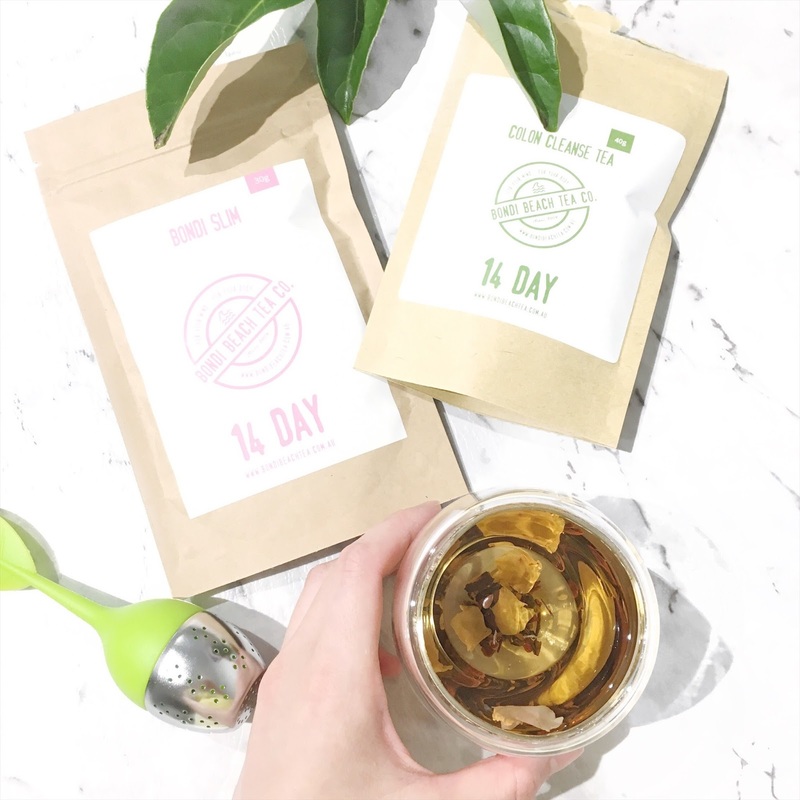 It's definitely not a weight loss gimmick if that's what you were thinking, and I truly feel that their detox teas do help to some degree - considering that you thoroughly follow through the 14 days as planned. After my 14 week program, I've never felt so much better and less bloated. I can definitely say that I have a better digestive system than before. My skin looks clearer and glowing which is amazing to know. As for how many cups of the tea I'd consume a day, it would be approximately 2 cups (1 in the morning and 1 in the afternoon). Also, I do take 1 cup of the Colon Cleanse Tea in the evening on the same day. Therefore, this gives me a total of about 4 cups of tea per day whilst being on the 14-day program. Have you tried any detox teas that have worked for you? Labels: BEACH, BONDI, detox, new, RESOLUTION, TEA, YEARS.